Manchester United announced Friday they had extended the contract of defender Phil Jones for four and a half years. Under the new contract, 27-year-old Jones will remain in Manchester until 2023 with a clause in the contract allowing the English club to extend the contract for another year. Jones joined Manchester in 2011 from Blackburn. Jones played 208 appearances for Manchester United and 27 appearances for England. 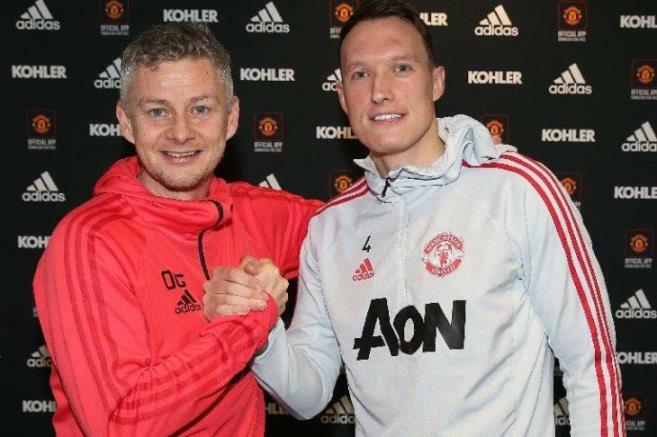 "With the signing of the new contract, Manchester United have been a big part of my life for eight years and I love everything about the club," Jones said after signing the contract. "He is excited about the challenges ahead as we prepare for a very compressed period of the season." "I would like to thank Ole Gunnar Solskjaer (the manager) and the supporting body for their efforts to further develop the team." "Phil is aware of what it takes to become a player in Manchester," said Solskjaer, who has pushed Jones into all 10 matches under his leadership. "He has won the English Premier League, the UEFA Cup, and the European League, and he is one of the big players in the team."